"This is Berk. Life here is amazing. Dragons used to be a bit of a problem. 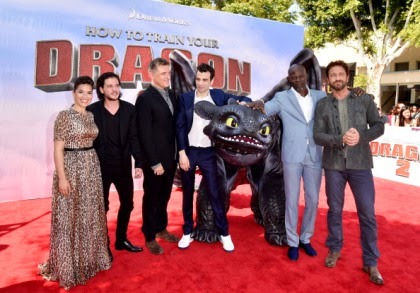 But now they've all moved in..." and with this starts the next installment in the "How to Train Your Dragon" series. Five years have elapsed since the first time Hiccup and Toothless met. 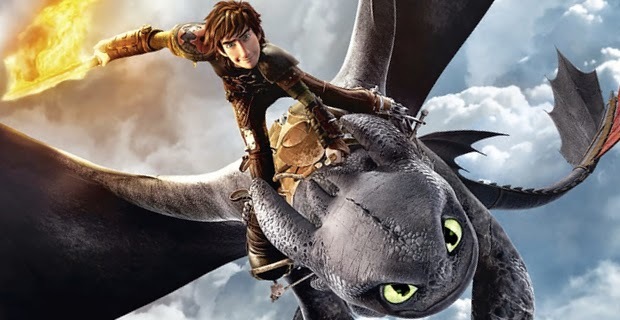 Hiccup is now twenty years old and more in tune with his dragon friend, Toothless. People of Berk, the small Viking village have comfortably settled in with the Dragons who are now a vital part of their lives. Hiccup is our usual shy and unconventional Viking who spends more time exploring new lands than heeding to his father's talks of succeeding him as the chief! Trouble, however, has a way of finding our hero and this time they are against a ruthless, conscienceless villain who will not stop until he has dominated all humans and enslaved all dragons! Can Hiccup and Toothless stop this evil man before it is too late? 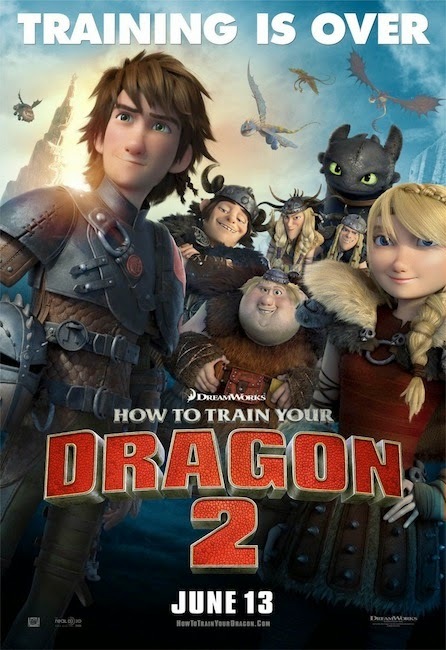 The movie starts with a super entertaining and simply breath catching aerial performance by Hiccup on the back of his too cute and cuddly dragon, Toothless. If you thought the first movie was awesome, wait till you watch this one. Definitely more darker, deeper and mature, the story presentation expertly balances wit, humor, emotions, action, adventure and a spine tingling end. The plot is beautifully adapted for the screen that doesn't follow the conventional follow up path from the first movie but takes an unexpected course which delightfully surprises and heightens the interest of the audience. The direction is as usual crisp and Dean is able to keep up the rhythm of the movie. The viewers are kept at the edge of their seats with twists and turns that shock and make you gasp while making you pray for a happy ending! The animation is top class and the voices of Jay Baruchel, Gerard Butler, Cate Blanchett etc. make the characters seem so real that it sometimes feels like we are there amidst all the action and adventure! The 3D adds a new entertainment level to the whole experience. While the 3D effects are few, they are nevertheless very noteworthy and fully entertain the viewers. Hiccup is all grown up and totally cute with his innocence and individuality. Toothless is my absolute favorite with his expressive eyes, cuddly almost baby like antics and his fluid conversion from cute into a brave warrior whenever there is danger. Astrid is her usual fiery and brave Viking self who often guides Hiccup when he is confused. Stoic, Hiccup's father is endearing, boisterous and although exasperated with his son, is always ready to do anything for him. Quick and Easy to make Healthy Corn Salad Recipe!